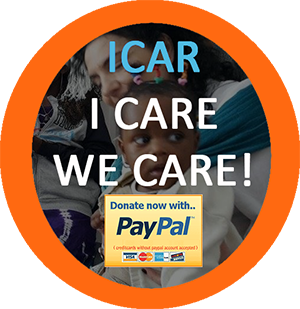 ICAR Foundation, in partnership with the Ecumenical Association of Churches from Romania – AIDRom, has launched the project “Adaptable and accessible health services for asylum seekers in Romania”, financed through the National Programme Asylum, Migration and Integration Fund, the AMIF 16.03 project selection. The project will contribute to the improvement of reception and residence conditions for asylum seekers on the Romanian territory, by developing an integrated programme for the information and socio-medical assistance of these categories of beneficiaries. The main activities of the project will take place during two years, within the six reception and procedures centers under the General Immigration Inspectorate in Bucharest, Galaţi, Timişoara, Rădăuţi, Şomcuta Mare and Giurgiu. At least 600 asylum seekers in Romania (men, women and children) will benefit from medical services, while approximately 1200 asylum seekers will be informed and counselled regarding their rights and obligations in the area of medical assistance in Romania, as well as on hygiene and public health norms. Psycho-social specialists carrying out activities in these Centers will initially aim at identifying asylum seekers, especially those belonging to vulnerable categories (families in need, the elderly, persons with chronic illnesses, unaccompanied minors, victims of physical or psychological violence), and will identify their needs. Consequently, tests will be conducted to evaluate the general state of health of newly arrived asylum seekers, and general practitioners will provide medical examinations weekly. Through this project additional tests and medical investigations will be provided, as well as drug and non-drug treatments, as recommended by collaborating doctors, in order to accurately respond to the medical needs of asylum seekers in Romania. The total project budget is RON 2,782,329.56, out of which 5% is the ICAR contribution.